The Local Vendor Initiative invites the USD community to support local food vendors in Linda Vista, City Heights, and Barrio Logan, some of USD's anchor neighborhoods. 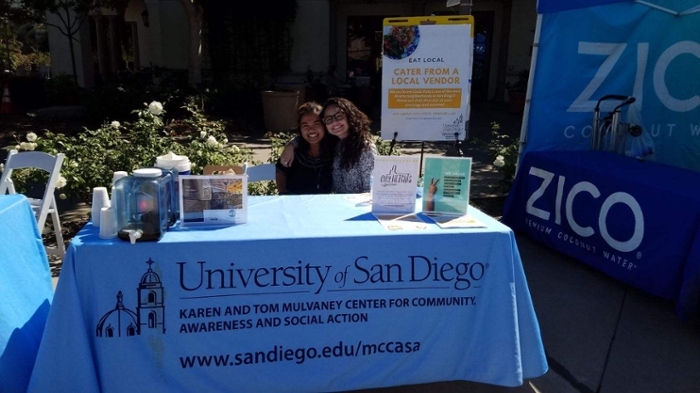 The USD community including students, staff, faculty, and administration have the opportunity to feature these local vendors at meetings, events, and activities on campus. The Local Vendor Initiative furthers USD's commitment to reciprocal local partnerships that advance economic development. Our Local Vendor List continually grows as we engage with our community partners. We invite you to take a look at our Local Vendor List and participate in our Local Vendor Initiative.